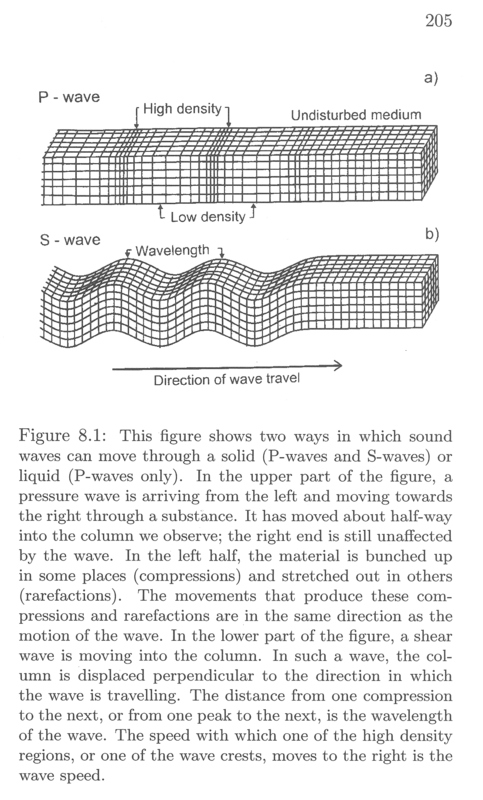 Earthquake waves The chief tool to study the Earths interior are waves from earthquakes. High pressure "gun" Another way to produce high pressures in a lab is to use a gun. This gives high pressures, but only for a very short time. 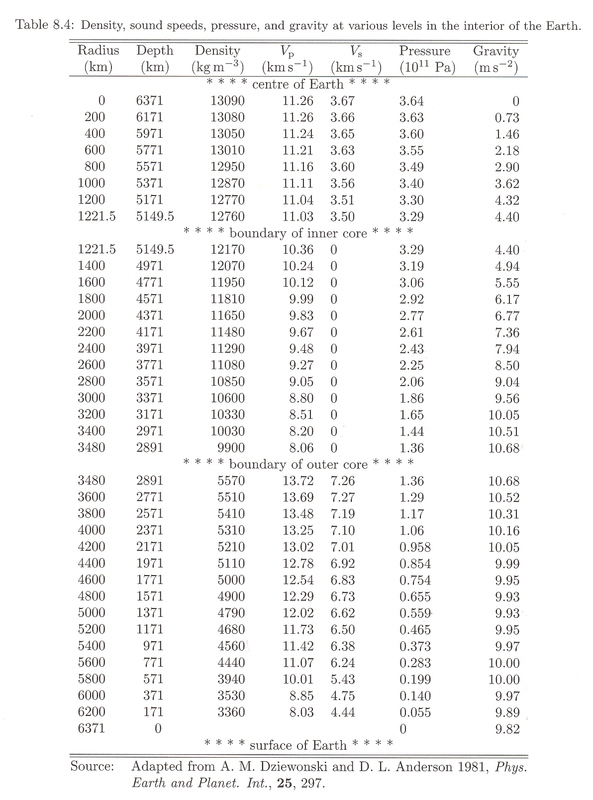 This table shows some results of one such model. One striking number is the central density of 13000 kg/m**3. This is about 1.6 the lab density of iron, and shows the effects of compression by the bulk of the Earth. Iron may seem incompressible in a lab, but with enough pressure, its density will increase, like air in a bicycle pump. Graphs of Earth model Graph X.42 shows some results of Earth model in graphical form. (I don't know if the plotted numbers are from the PREM or another model.) 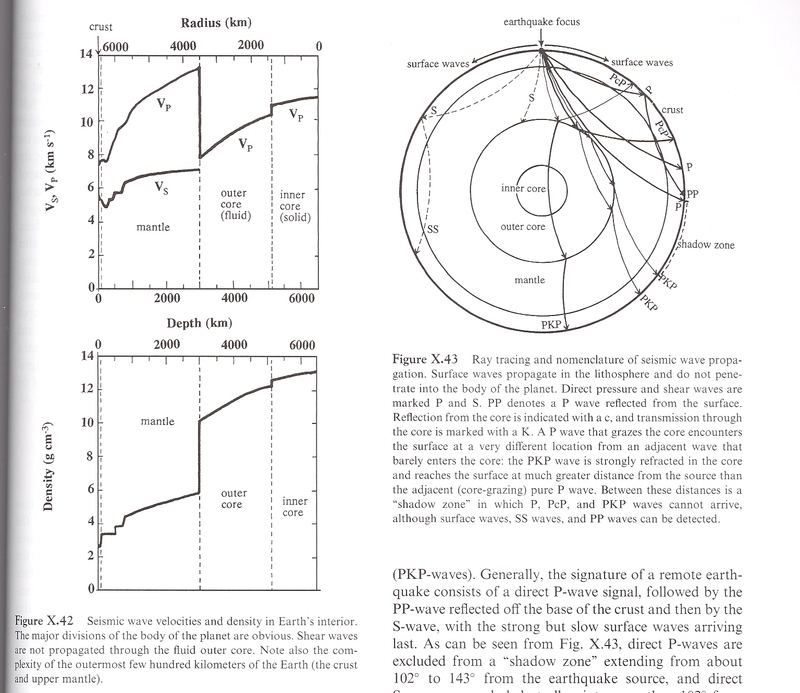 Graph X.43 shows some of the complications of seismic wave analysis, which include wave reflections and refractions. Temperature vs depth in Earth The temperature structure reveals some interesting structure. Near the surface (top 100 km or so) there is a large temperature gradient, with T changing by 5-20 degrees every km you go down. At around 100 km depth, the gradient quickly drops to something like 0.5 degree per km, which holds more or less all the way to the mantle- outer core boundary. The low temperature gradient in the mantle is due to tranport of heat by convection, which is an efficient heat transport mechanism. 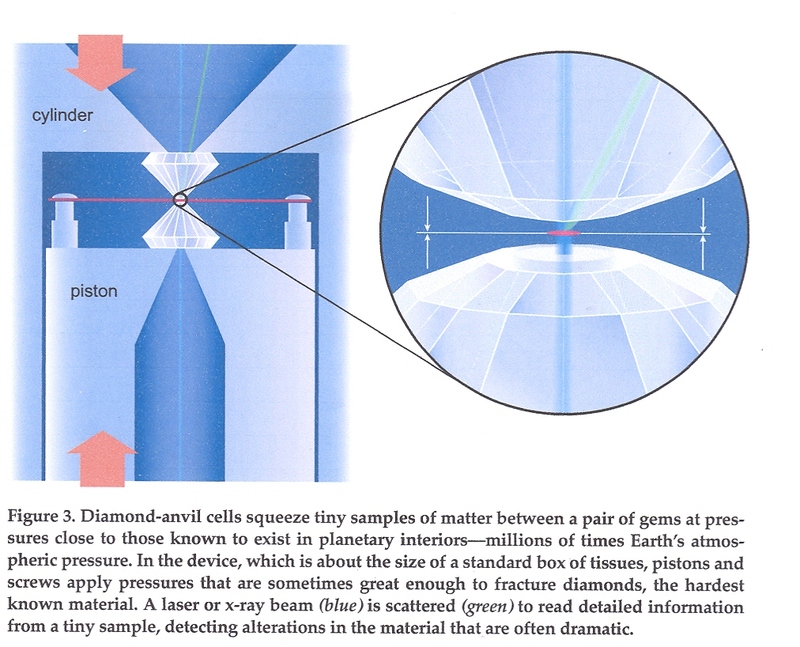 In the top 100 km, the rock is "brittle", and convection is not possible- rather, heat transport is by conduction.